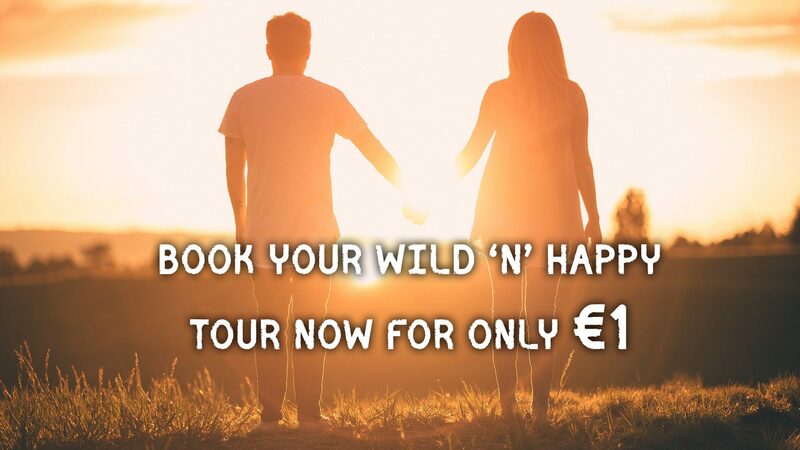 From the 4th April 2019 – 4th May 2019, only €1 booking deposit will be required to secure your Wild N Happy trip. The deposit can be used towards any Wild ‘N’ Happy Travel Passes or Multi-day tours. Wild ‘N’ Happy Day tours, vouchers & enquiry only tours are not included. The offer applies to bookings made between 4th April – 4th May 2019 for travel anytime before 31 December 2020. The deposit discount applies to the tour price only. The Book direct discount code “wildnhappy10” can be applied with this offer. Full payment is due 2 months before departure. Traveller will be sent payment link for the remainder due on this date. If remainder due is not paid within 3 days of reminder, the booking will be cancelled. Discount does not apply to local payments, additional travel arrangements, international and local airfares. If booking within 60 days of departure, full payment is due immediately. All tours are subject to availability. Prices, itineraries and inclusions are subject to change without notice. Standard booking conditions apply as per Wild ‘N’ Happy website. If the traveller wishes to change dates or tours, they will be required to pay the full 25% deposit of the full tour payment towards the new trip. This is applicable even inside promotional period.